Michal Kaščák is a promoter, musician, composer and lyricist. He was the leader of the band Bez ladu a skladu which the New York Times included among the artists who contributed to the fall of the Iron Curtain. 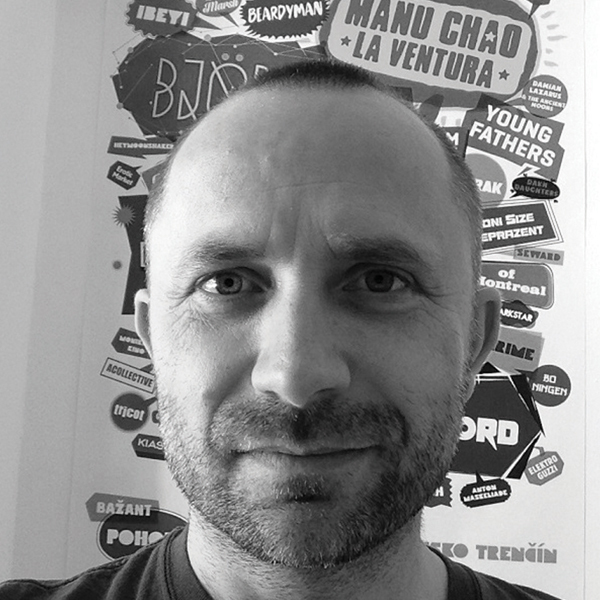 In 1997 Michal Kaščák started the Pohoda festival and has been acting as its director, curator, and booker. Pohoda is an art festival where alternative, indie, electronic, punk, and world music meets classical music, along with literature, dance, visual arts, film, and theater. In addition to the festival, the Pohoda team organise also concerts and small festivals, such as the Doma Dobre festival for homeless people.